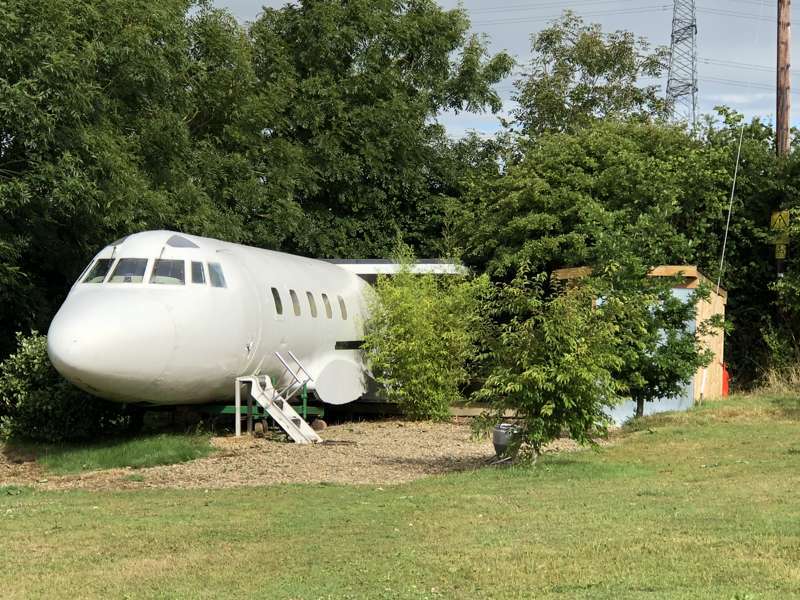 First-class glamping is promised in this converted 1970s plane that’s landed permanently in Pembrokeshire. A truly unique place to stay - retaining most of the original features, including the illuminated bar area. The Jetstar is a first class executive jet plane that would have carried up to nine passengers. Originally built in the 1970, it has been expertly modified to create comfortable glamping accommodation, and to the rear is a new addition, a spacious double bedroom in the style of a first class ships cabin. There is a toilet and cold water basin on board the plane and the cockpit has an Xbox console with some flight games. As well as the double bed in the cabin area, there is a small single bed behind the cockpit. (This is only 5'7"/170cm which is fine for many adults, but not all!) There is also a leather sofa on the plane which is 6'4". Given this configuration, it is more suited to a couple or two adults and two children. The cabin and the cockpit are powered by mains electricity however the fuselage has the planes original lighting and is powered by car batteries and should be used economically. There is a double plug with usb ports which lamps can be plugged in. A blue tooth compatible CD and radio is mounted in the main fuselage. A nearby facilities building has hot showers and toilets, (including disabled access) plus a kitchen area with sink, pots, pans, cutlery, fridges, toaster and kettle. There is also a laundry area with washing machine and dryer which can be used by request at an additional cost. If you like to BBQ...we have a large gas fired grill station with two cooking rings on each side. Guests are respectfully requested to remove shoes when wet. Elsewhere on our alternative campsite, you'll see a variety of other glamping structures including Mongolian yurts, Bell tents, Showmans' Caravan, Geodesic Dome and coming soon - a UFO! Our quirky campsite is designed experience the outdoors in a rustic setting. 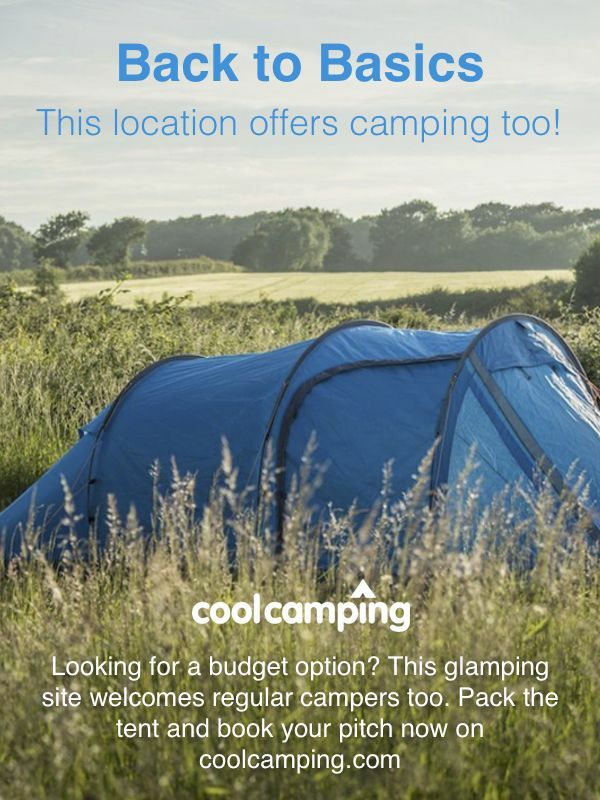 We look forward to welcoming you to Apple Camping! Apple Camping is a new eco-camping site nestled in the heart of Pembrokeshire, offering peace, serenity and total comfort on a small, exclusive site. Modern, communal shower and toilet block, with hot showers and disabled facilities; separate laundry area with washing machine, dryer and washing lines; BBQ and kitchen area outside each yurt and another shared kitchen outside the Jet Star. The kitchen includes a toaster, kettle, cooker and fridge. See website for individual glamping accommodation details. Owner Toby has sent his life round these parts and is never short of recommendations. Just ask if you want some local advice. For families, Manor House Wildlife Park (01646 651201) offers a chance to explore the globe – head down to the African Village where you can walk with lemurs or trek through the wallaby enclosure in the Australian bush. Back in Britain, the nearby harbour town of Tenby is a cute little spot, with ferries running out to Caldy Island, or try the harbour in Saundersfoot where there is also a sandy, blue flag beach. Freshwater West, meanwhile, was the filing location for Harry Potter & the Deathly Hallows and Ridley Scott’s Robin Hood, while Barafundle Bay was recently voted the best beach in Wales. The family-friendly, Parsonage Farm Inn (01834 871436) in the village of St Florence (2¼ miles) is an excellent local pub, while the Sun (01834 871322), also in St Florence, is a traditional picture-postcard pub full of local memorabilia. Turn right off the A477 which is sign posted Redberth then immediately take the next right which is sign posted to Jefferson. You will go over a hump backed bridge approximately 100m then pass Norchard Farmhouse and the farm of the same name on a sharp 90 degree right hand bend. The entrance to Apple Camping is just round this corner on the left. 3 yurts (each sleeping 2–4), a handful of bell tents, a Jet Star aeroplane and a flying saucer!